Welcome to the Webpage of the Juggling Club in Freiburg. We offer regular juggling meetings at decent training locations. You can find all the days and times here. 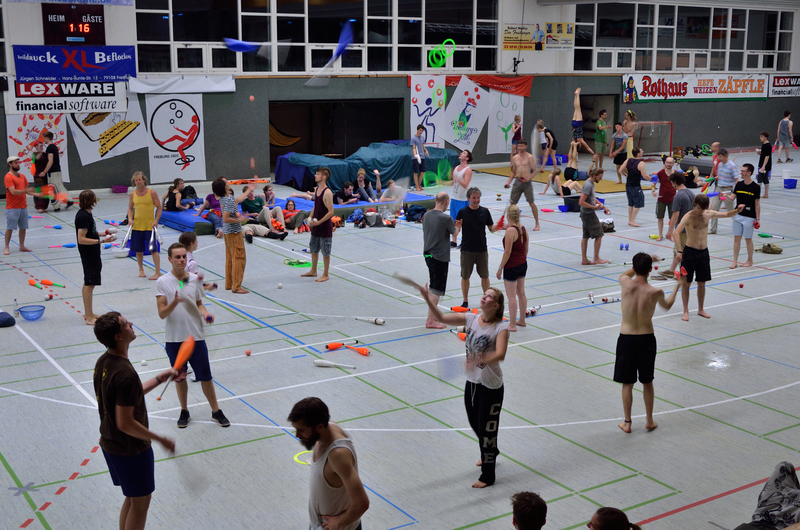 Additionally, we organize a very nice juggling festival / convention every year. The 2019 convention will take place from 30th of May – 2nd of June at the Wentzinger School complex (Address: Falkenbergerstr. 21, 79110 Freiburg, Germany, map). This year the festival includes the freestyle frisbee german opens. About 300 jugglers from all over Europe will join at this long weekend to exchange tricks, train together, visit and lead workshops, and enjoy a open stage as well as a great show event. 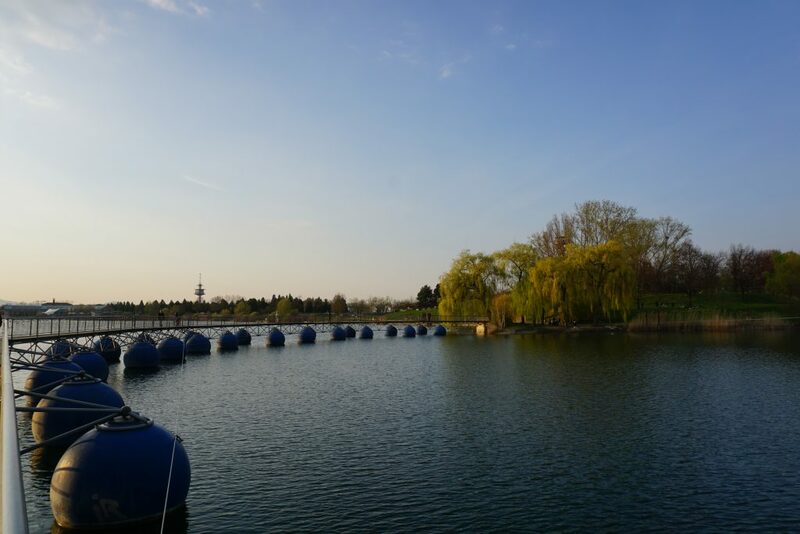 The festival area is situated directly next to a park with a beautiful lake where you can swim and juggle in the sun. If you are interested in performing at one of the stages or if you want to lead a workshop, contact us at info <at> jonglieren-in-freiburg.de. For the overnight stay of the participants, we offer a gym for sleeping with breakfast included. Please bring a sleeping bag and sleeping pad as there are no beds. The registration with lower prices will be open till the 3rd of May. But you can still register afterwards to reserve a sleeping place. Please use our registration form below for this. If you don’t understand it, just write an E-Mail to us (orga <at> jonglieren-in-freiburg.de) with your name and the ticket (see below) you would like to book. Because of our limited space in the sleeping gym, we can’t guarante you a sleeping place if you don’t register! Single Show tickets or day tickets can only be bought at the festival entrance.